A view of the sugarcane fields, and Bay Saint-Pierre, at Depaz Distillery in Martinique. MACOUBA, Martinique — There are two ways to get toasted on the French Caribbean island of Martinique. The first requires a beach towel and gobs of sunscreen. The second involves sipping glass after glass of a delicious adult beverage made from sugar cane and distilled to the exact standards of the French government. For the purposes of my journey, I began with getting toasted on rum because its production is completely unique to Martinque. It’s also a heck of a lot more fun than getting a sunburn. On this 430-square-mile island sandwiched between Dominica and St. Lucia, rum production is monitored as closely as champagne production in France. Let’s not mince words here. The French can be a bit uppity when it comes to the quality of their booze. You know any rum certified by France has to be exceptional, even if your palate doesn’t know any better. 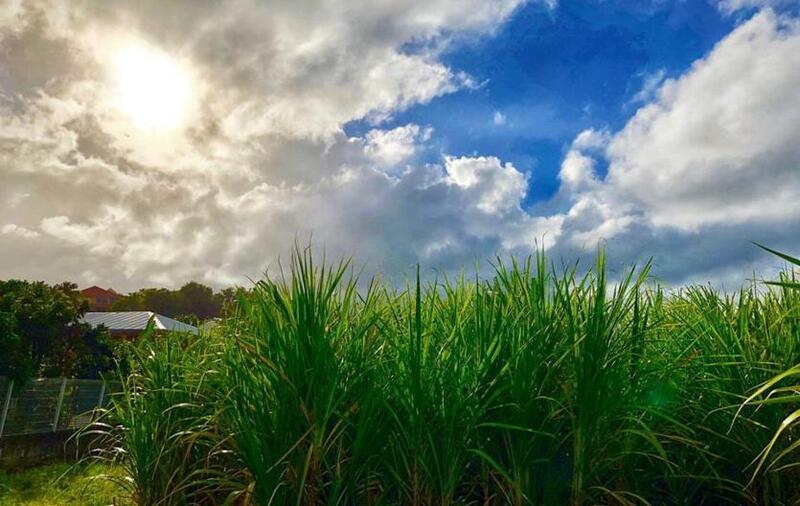 Those of you who have been to the Caribbean know that nearly every island that grows sugarcane produces rum — and every island claims that theirs is the finest. I’m here to tell you that those other islands are lying. I’ve tasted the rum in Martinque, and it is spectacular. I dare you to convince me and my liver otherwise. “This fine, fine, fine stuff. Best rum by far,” Jeremy Burton, a Liverpudlian I met in the tasting room at Habitation Saint-Etienne told me. He was slurring quite a bit when I talked to him, so he may not have been the best authority on the subject, but he was certainly happy. Before my arrival I mapped out an ambitious plan that had me driving around the island for nearly a week. It would allow me to try rum, visit distilleries, and allow for plenty of breaks for lollygagging on beaches and soaking up scenic spots. Before you pigeonhole me as a full-on dipsomaniac (that’s a classy way to say drunkard), allow me to explain that many rum distilleries in Martinique offer more than a linoleum tasting counter and a gift shop. Some are located on acres of beautiful grounds. One of the poshest, Habitation Clément, has an expansive botanical garden filled with modern sculpture. 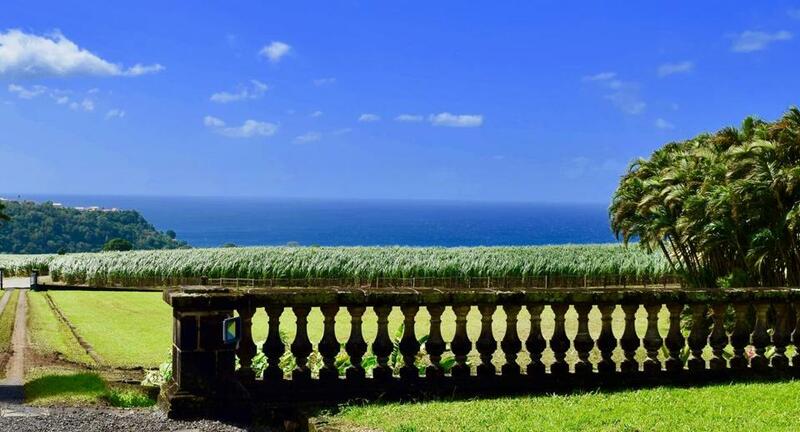 You can learn about the history of rum production in Martinique, browse the beautiful, and surprisingly well-curated on-site art museum, and end your day by quenching your thirst with rum tastings. It’s culture and nature, all with a rum chaser. Barrels of rum age at Habitation Clement in Le Francois. I spent another afternoon at Rhum Depaz in the picturesque town of Saint-Pierre in the northwest corner of the island. The fields and plantation house sit at the base of Mount Pelée, the island’s highest mountain and nonactive volcano. You can see the ancient equipment that produced the rum hundreds of years ago, or the modern equipment that produces it now. But what I remember most fondly is standing in the welcoming sunshine and looking out over the sugarcane fields into a bay with water as blue as Chris Hemsworth’s eyes. Mount Pelée erupted in 1902, wiping out Saint-Pierre. Before it was destroyed, Saint-Pierre was the largest town on the island and known for its European flair. That distinction now goes to the colorful capital city of Fort-de-France. Even though there are no distilleries there, I recommend spending a day in Fort-de-France. Leave time for tourist haunts such as the Aimé Césaire museum, Schoelcher Library, and a stop at the covered market for lunch. Fort-de-France is a popular spot for cruise ships to dock, but a growing number of New Englanders are familiar with Martinique thanks to inexpensive seasonal flights out of Boston and Providence with promotional fares starting at $49 on Norwegian Air. A spokesman for Norwegian could not confirm if the flights would be offered for the 2018-’19 season. Despite those bargain flights, only 6.8 percent of visitors to Martinique in 2017 were from North America. More than 65 percent were from France. English is widely spoken, but if you come here it wouldn’t hurt to brush up on a couple of handy French phrases. The French influence is everywhere — from the architecture of the Schoelcher Library to the cuisine. And, more importantly for our purposes, the rum. The French government gives its appellation d’origine contrôlée (let’s just call it AOC) label to rum produced in Martinique. The designation is only given to French products made according to a list of strict specifications. For rum it’s a rather complex set of qualifiers, but the most important aspect is that rum can only be made of fresh sugarcane juice obtained by grinding and pressing of sugar cane grown on the island. No additional of syrups or molasses are allowed. Most other rums in the Caribbean are made from molasses. You’ll know you’re getting AOC-approved rum when you see the designation Rhum Agricole Martinque on the label. Like wine, you can learn about the flavor notes produced by the aging process at Rhum J.M. 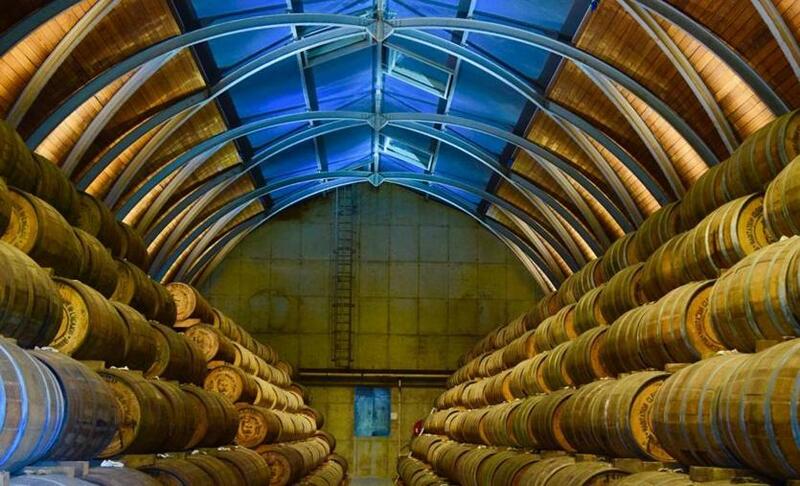 Rum is aged in barrels made of different types of wood. Some were previously used for aging other liquors, resulting in unique flavors. At Rhum J.M there are light bulb-shaped vials that allow you to smell the different rums. Each has an explanation of what you’re smelling. Perfect for philistines such as myself. Rum that was aged four years in oak was described as having a finish of “sweet coffee, toffee, caramel, pistachio, and coconut flesh.” Rum that was aged for 15 years in oak barrels was poetically described as “Deep and serene. A divine harmony of smoked wood notes, spicy and almost caramelized.” I’m not sure if I was able to pick up on the notes of flambéed exotic fruit, but I was wise enough to know that this was a sipping rum, not the kind you dump into a glass of Diet Pepsi. White rum is not aged and lacks all of those woody, flowery overtones. That makes it ideal for producing Martinique’s national cocktail, Ti’ Punch. The recipe is so simple that a well-trained parrot could make it wearing a mini blindfold. It’s Rhum Agricole, a good squeeze of lime, and sugarcane syrup to taste. I almost forgot the most important step: Drink and repeat. Neisson distillery, which has been operating since 1931, may not have been the fanciest of the lot I visited, but it is the only family-owned operation, and the rum here was my favorite. My visit was near the end of the trip, so my palate was finally adapting to those French standards. After my sixth distillery tour I truly understood the process that made this rum so special. My taste buds knew the difference between a rum that had been aged three years, and a rum that had been aged 15 years. This was good news for me. I love traveling to better myself. This was bad news for my long-time friend Captain Morgan. When I returned home I explained to him that our relationship was over. With that I buried him toward the back of my home bar and returned to a lowball glass of Rhum Agricole Martinque.